Conducting solid research and discovery for inbound marketing and the user experience (UX) is a key component to understanding your industry’s market, developing buyer personas and creating a messaging strategy that relates to both. Gathering accurate and efficient data often starts with voice of customer (VOC) research, where verbatims and feedback are pulled directly from the users themselves in order to understand your ideal customer and the buyer’s journey from their perspective. Recommended: Why Are Buyer Personas Important? While this data is imperative, getting customers to respond to survey questions and poll data can be an egregious task that feels like pulling teeth. So, how can you implement VOC research...without the customer? The answer, ultimately, is you can't; however, you can utilize other resources that will give you critical feedback to help improve your brand. UserTesting is an online research tool our team uses, regularly, to get unbiased insights on prototypes, live websites and apps from screened sources. Bonus: the results are given in less than a business day. It's simple. 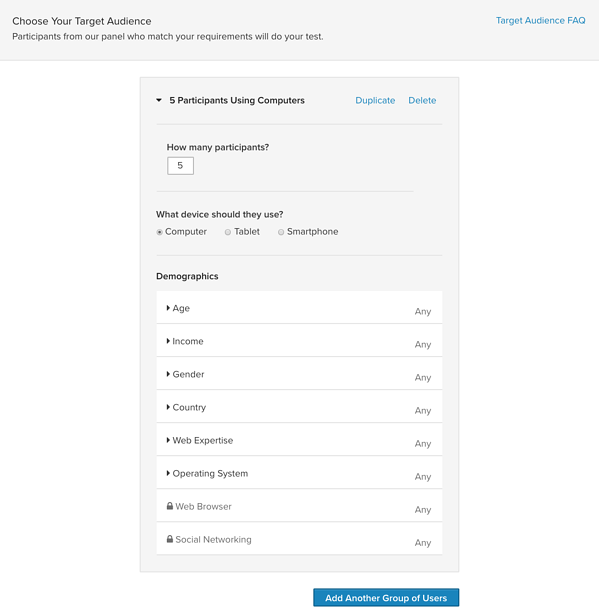 With UserTesting, you are able to set specific criteria that the users must meet in order to take and complete a unique test that you create. This is a screening process to ensure that you are targeting people who would most represent your ideal buyer persona and thus making this test as legitimate as possible. After your target audience is set, you will develop an in-depth scenario that relates to your core focus. This scenario should read as if the user is experiencing the situation themselves. You are a professional underwater jellyfisher who needs a solution that will help you catch more than one jellyfish at one time. You are struggling to find a net that is lean and durable with a big enough net circumference to hold multiple jellyfish. The idea is that your product or service is the ideal solution for the "customer." From the scenario, you will begin to set up a series of tasks and/or questions that will help guide the user to finding your product or service online. Consider having the user search for keywords that you are trying to rank for in order to gage where you stand on overall SEO. How are current visitors finding your content or site? Is the voice of your messaging in-line with your buyer persona(s)? What does the buyer's journey process actually look like to a new visitor? Does it really represent your firm? Now, how does your site and overall online presence compare to your competitors? Don't limit the tasks to focus on your site only, consider conducting a competitor analysis as well. Think about what information will be vital for your research and keep your overall goal top of mind. Setting up a user test is easy; generating an in depth "scenario" with appropriate tasks and questions that will in turn give you accurate and useable data can be challenging. Strategize and determine your goal before creating the test. Be sure to think through questions as if you were taking the test yourself. Keep in mind, not all tests are created equal. Try setting up different questions and tasks for multiple tests and share them internally to do a trial run before launching the test to the public. When you feel as confident about your test as you do about your bedtime routine, order and watch out. 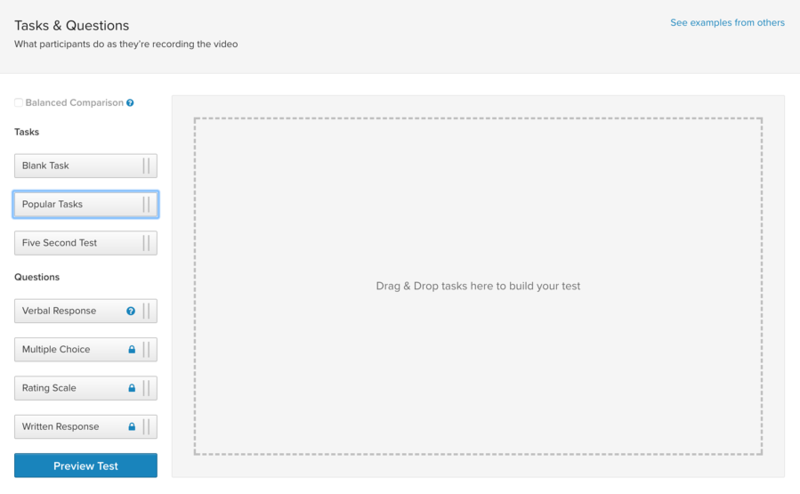 In a couple of hours you will have full length video recordings of each user's experience. UserTesting truly is a time effective way to gather VOC research.